Hello, i'm Capacity. 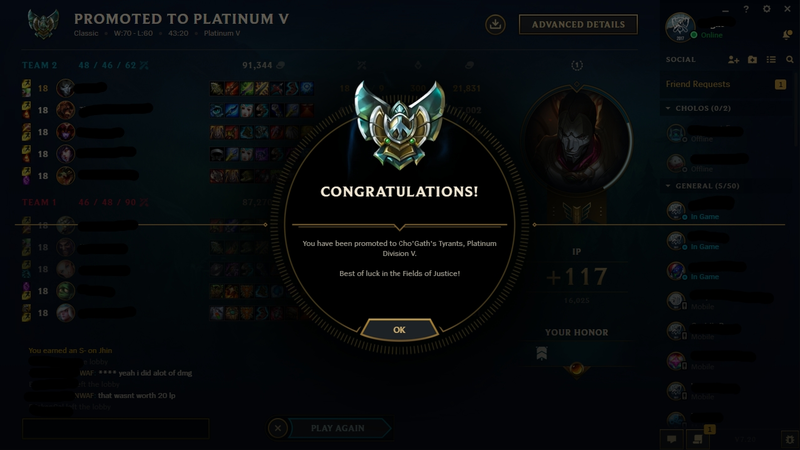 I have peaked at diamond 4 this season but i've made a steady climb since i started playing league in late season 3. My primary role is adc however im confident boosting with or coaching for top and mid as well, i can play a large variety of champions across these roles which is useful for those looking for boosts with specific champions.